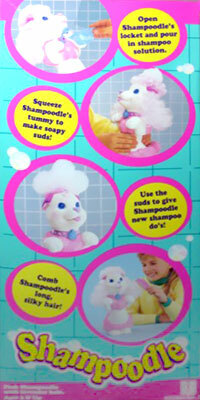 "Squeeze my tummy for lots of foamy bathtime fun!" 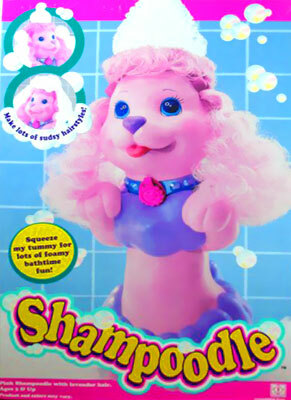 View all Shampoodle on eBay.com or eBay.co.uk ! 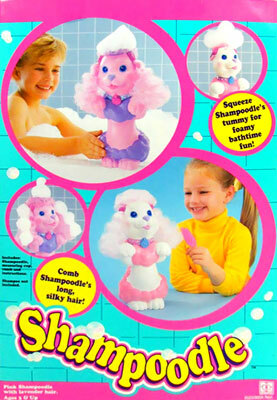 "Make lots of sudsy hairstyles!" 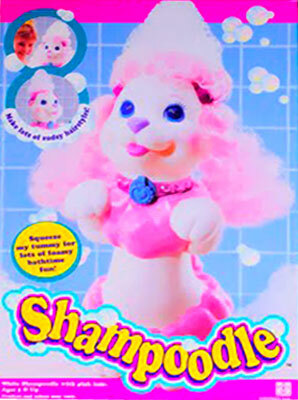 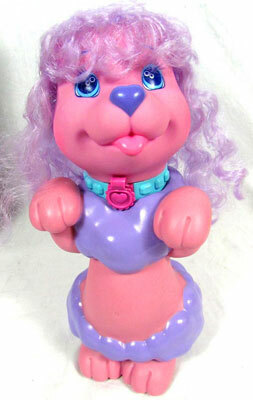 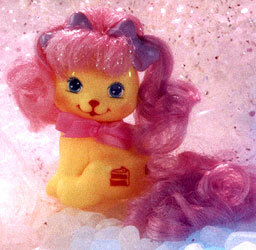 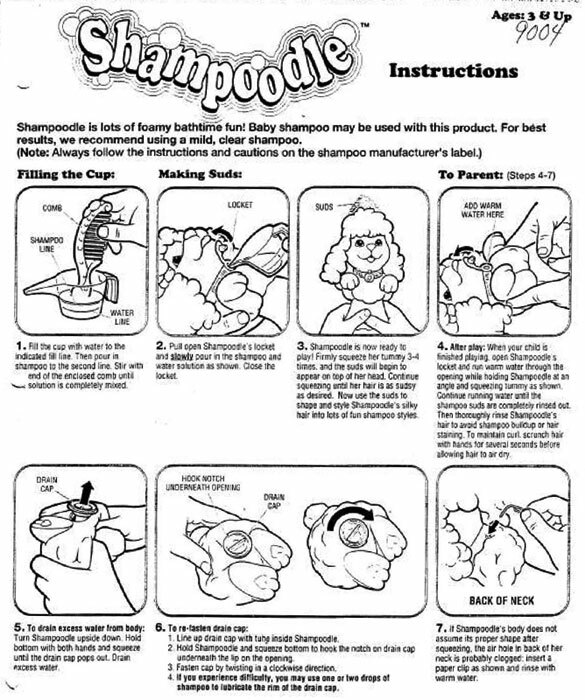 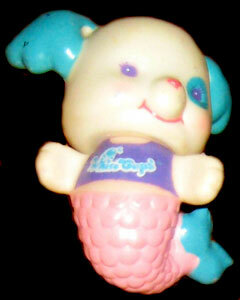 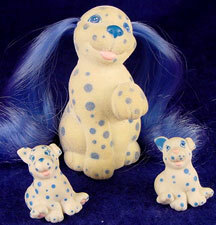 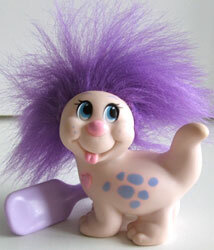 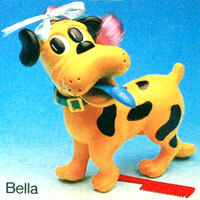 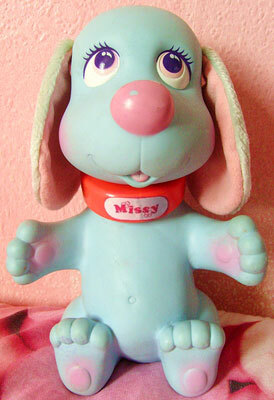 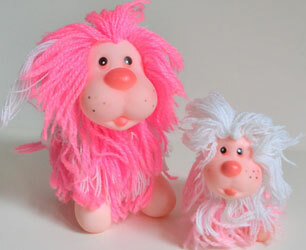 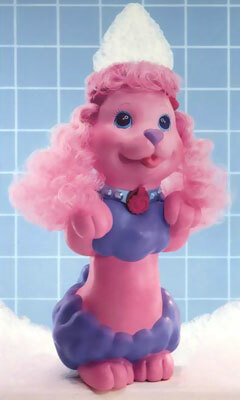 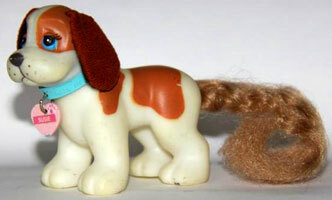 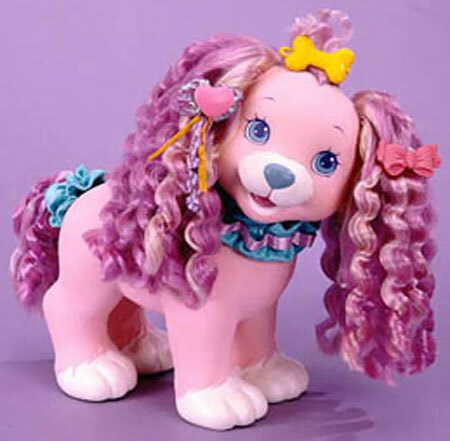 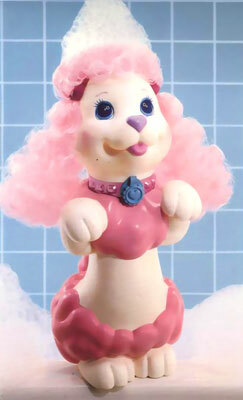 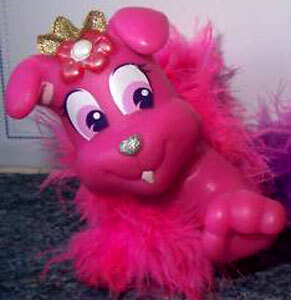 Shampoodle was about 12 inches high and came in two colours. 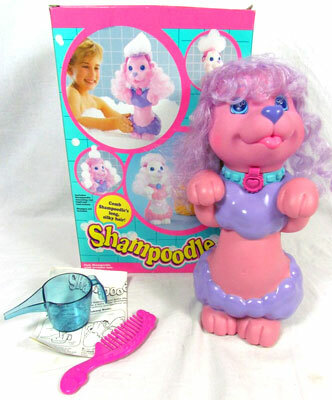 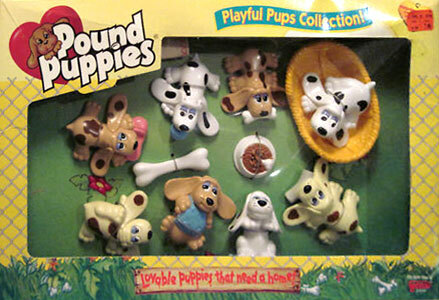 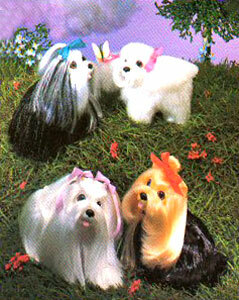 You poured your own shampoo mixed with bathwater into the poodle by opening its locket. 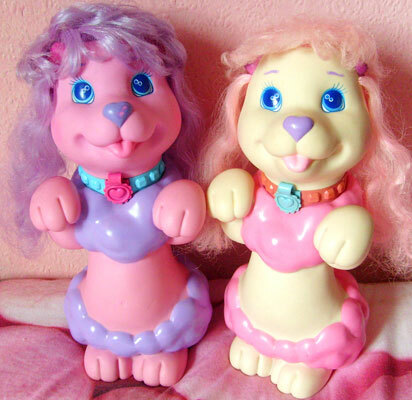 They each came with a comb and measuring jug.